Born at Haliʻimaile, Maui, Kahekilinui‘ahumanu (Kahekili) was the son of the high chief Kekaulike-kalani-ku‘i-hono-i-ka-moku (Kekaulike) and high chiefess Keku‘iapoiwanui-a-kalaninui-kaulele-ia-iwi. 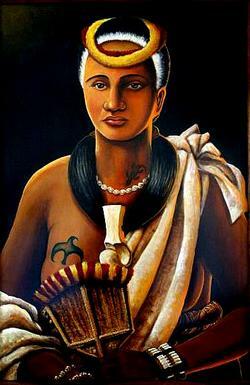 Kalola (Kahekili’s sister and daughter of chief Kekaulike’s second wife) played an integral part in Kahekili’s reign over Maui Nui and O’ahu. Kalola, too, was a very high born ali’i. The power, however, that he received through this inheritance did not satisfy his desire to gain political influence through his own accomplishments. Therefore, Kahekili chose to prove himself through warfare. He was a formidable competitor and demanded his warriors follow his lead, which they did. And, with each success, Kahekili’s power increased. Kahekili first proved himself a formidable adversary by defeating the Hawaiʻi army led by Kalani‘ōpu‘u in 1775. Kalani‘ōpu‘u promised revenge and, in 1776, he again went to battle against Kahekili. Unfortunately, Kalaniʻōpuʻu was not aware of the alliance between Kahekili and Kahahana, an ali‘i of O‘ahu. This alliance greatly outnumbered Kalaniʻōpuʻu’s army. Therefore, Kahekili and Kahahana’s army defeated Kalaniʻōpuʻu’s army as they entered the sand hills of Wailuku. 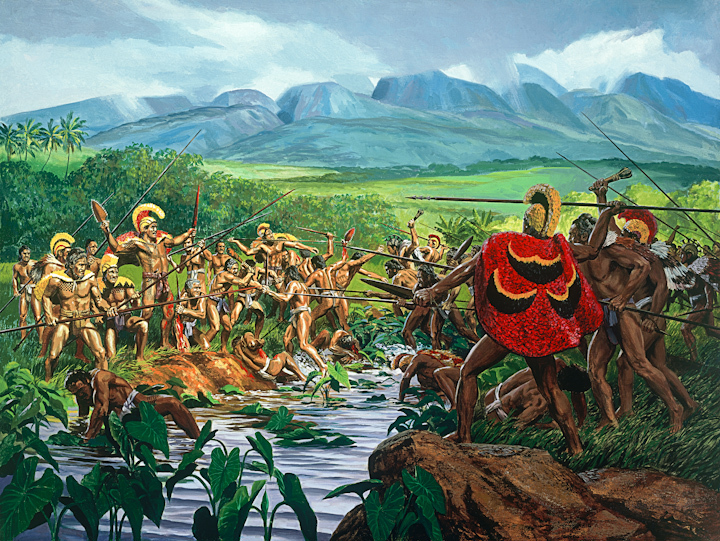 This battle became known as Ahulau-ka-piʻipiʻi-i-kakanilua. In a desperate act to save what was left, Kalani‘ōpu‘u requested that his wife, Kalola, plead for peace from her brother Kahekili. However, knowing that Kahekili would not look upon her with favor, Kalola suggested their son, Kiwalaʻō be sent instead. Kahekili’s welcomed Kiwalaʻō and sealed his acceptance of peace. For a time, after the great sand hills battle in Wailuku, peace and tranquility returned. Kahekili took his leadership seriously; he was faithful to his people, made changes, established rules and took active interest in the welfare of his people and lands. During times of peace and celebration, when tournaments that required great strength, stamina and ability were held, Kahekili continued to amass great respect with his victories. Such victories assisted in further cementing his position as the son of the divine ruling family of Maui. Later, Kahekili and his eldest son and heir-apparent, Kalanikūpule, were carrying on war and conquered Kahahana, adding Oʻahu under his control. Through subsequent inter-island conquest, the marriage of his brother to the Queen of Kauaʻi, and appointment of his son to alternately govern Maui, Lānaʻi, Kahoʻolawe and Oʻahu during his periodic absences, by 1783, Kahekili dominated all the Hawaiian Islands, except for Hawaiʻi. In the late-1780s into 1790, Kamehameha conquered the Island of Hawai‘i and was pursuing conquest of Maui and eventually sought to conquer the rest of the archipelago. Kahekili’s rule stretched for almost thirty years. He became known for his extreme measures whether it was making sure his people were obeying the kapu and the gods, or by destroying his enemies. 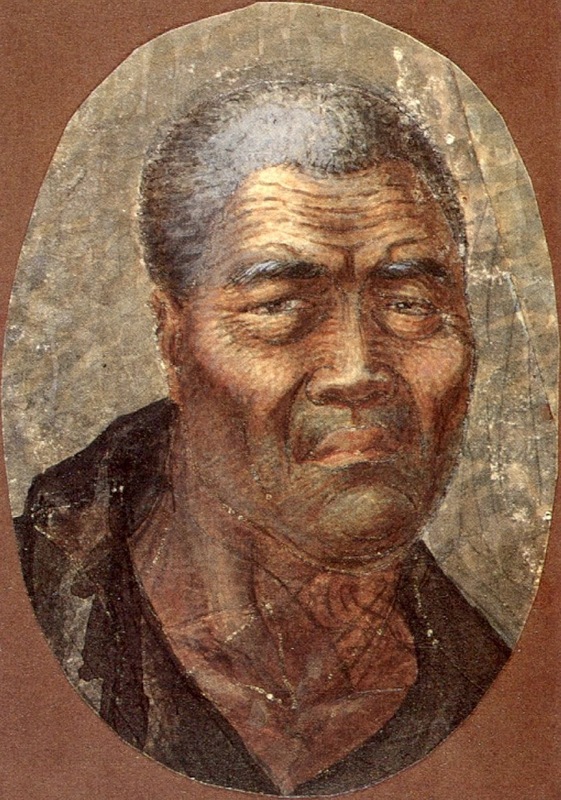 He ruled on Maui before he fell ill and returned to Waikīkī, until his death in 1793 at the age of eighty-seven. As with all ali‘i, Kahekili’s bones were carried away and hidden – thought to be in North Kohala. (Lots of good information here is from “Kahekilinuiʻahumanu – Kahekili Study Guide” (Kauahea Inc and Maui Arts & Cultural Center.)) The image shows a performance of Kahekili by the Maui Arts and Cultural Center. I added a couple of other images in a folder of like name in the Photos section on my Facebook and Google+ pages. King Kekaulike (1700-1736) was the 23rd King (Mo‘i) of Maui and founder of Maui’s last ruling dynasty. He was descended from Pi‘ilani (‘ascent to heaven’) the Great. The Prince Maui-Loa was the first independent sovereign of Maui. Twenty generations of independent monarchs ruled in Maui from the Prince Maui-Loa until the accession of Pi‘ilani the Great who is perhaps the most renowned monarch of the island Kingdom of Maui. In the early-1790s, Maui’s King Kahekili (son of Kekaulike) and his eldest son and heir-apparent, Kalanikūpule, were carrying on war and conquered Kahahana, ruler of O‘ahu. By the time Kamehameha the Great set about unifying the Hawaiian Islands, members of the Kekaulike Dynasty were already ruling Maui, Moloka‘i, Lāna‘i , O‘ahu, Kaua‘i and Ni‘ihau. In the late-1780s, into 1790, Kamehameha conquered the Island of Hawai‘i and was pursuing conquest of Maui and eventually sought conquer the rest of the archipelago. Kekaulike’s son, Kamehamehanui (uncle to Kamehameha I,) lost Hana, which was isolated from the rest of Maui. There the war apparently ends with some of Kalanikūpule’s warriors pushed/jumping off the Pali. When the Pali Highway was being built, excavators counted approximately 800-skulls, believed to be the remains of the warriors who were defeated by Kamehameha. While it may be true that Kamehameha the Great conquered Maui and overthrew the Kekaulike Dynasty at the Battle of Nu‘uanu, it should also be remembered that Kamehameha’s own mother, the Princess Keku‘iapoiwa II, was a Maui princess. Likewise, Kamehameha’s wives of rank were princesses of Maui. These were Keōpūolani, Ka‘ahumanu, Kalākua-Kaneiheimālie and Peleuli. Keōpūolani, granddaughter of Kekaulike, was the mother of the Kamehameha II and Kamehameha III. Others from this Maui lineage include King Kaumuali‘i (of Kaua‘i,) Abner Pākī (father of Bernice Pauahi Bishop,) Kuakini, Keʻeaumoku II and Kalanimōkū. The Kekaulike Dynasty was a powerful line that ruled multiple islands. Although they lost to Kamehameha, the Kekaulike lineage continued through the leadership of the future leaders of Hawai‘i. 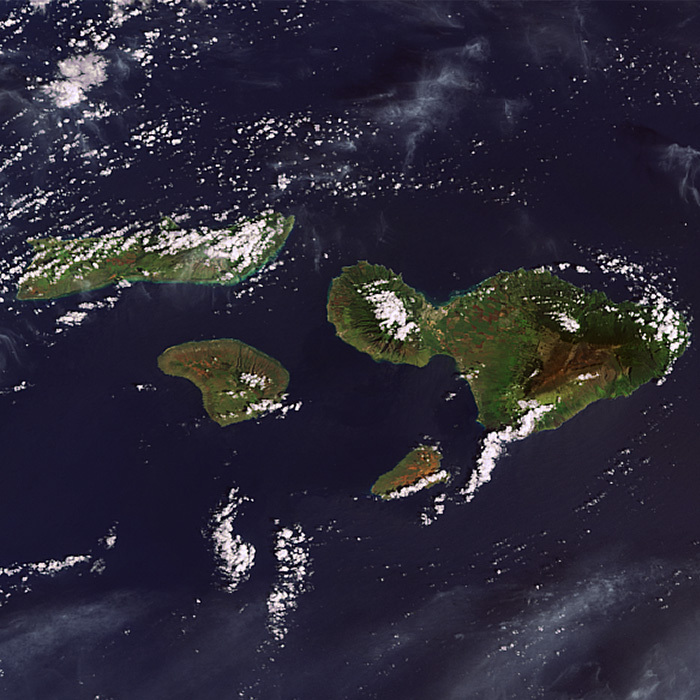 The image shows ‘Maui Nui,’ the four main islands that first came under the control of the Kekaulike Dynasty.